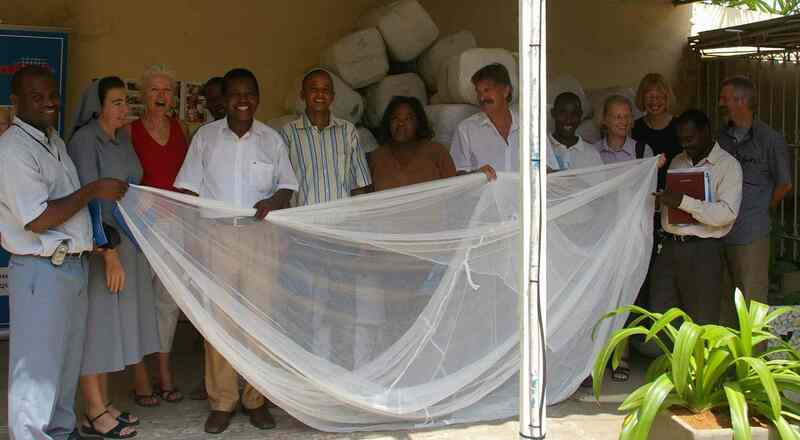 On April 30, 2008, the Mosquito Net Project celebrated their 6th net distribution by giving nets to the following organizations: Concern in Bie province (education program), Development Workshop (Local initiatives Program), Baptist Church medical centre M’Banza Congo, Missionary Scott McHaney for Baptist churches in Uige and the Lundas, the Palanca Negra Shepherds Program (Malange), Women in Alfalit (Bairro dos Ossos), Oxfam, Mothers in Creche program (Viana), Vida Abundante, Yme Cabinda, Lutheran church (maternity caregivers program Cunene- see photo below). 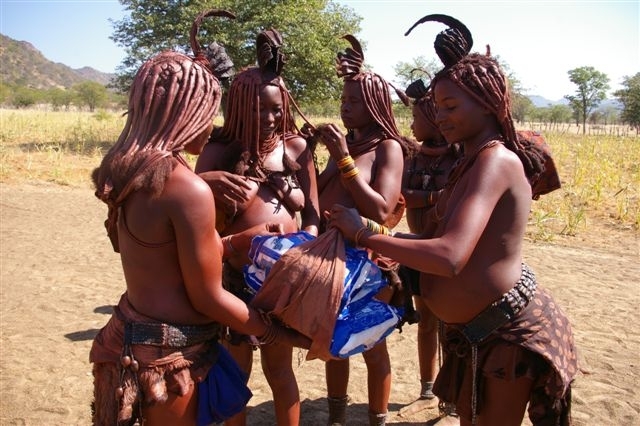 Pregnant Himba women pack their mosquito nets as they prepare for their trek back home from the Lutheran clinic in Chawikwa, Cunene province. Our project is now in its 8th year. When we have raised a substantial amount of money, we place an order for the nets (nowadays all nets are impregnated) and then hold a handover with donors and receivers. All the money donated goes to nets since we operate as volunteers and can boast 0% overhead. We have now raised a total of $101,457.00 to date and our goal for the end of 2008 is to reach the $125,000.00 mark, the equivalent of 15,600 family size nets. Key donors for our April handover include Chevron, Tullow Oil, Statoil Hydro, DNV, Yme Foundation Norway, and Oceaneering International. To download a pdf of our 4 page July 2008 Project Update click here.